This Winter’s storms have brought substantial rains and have gone a long way towards potentially eliminating our lingering drought. 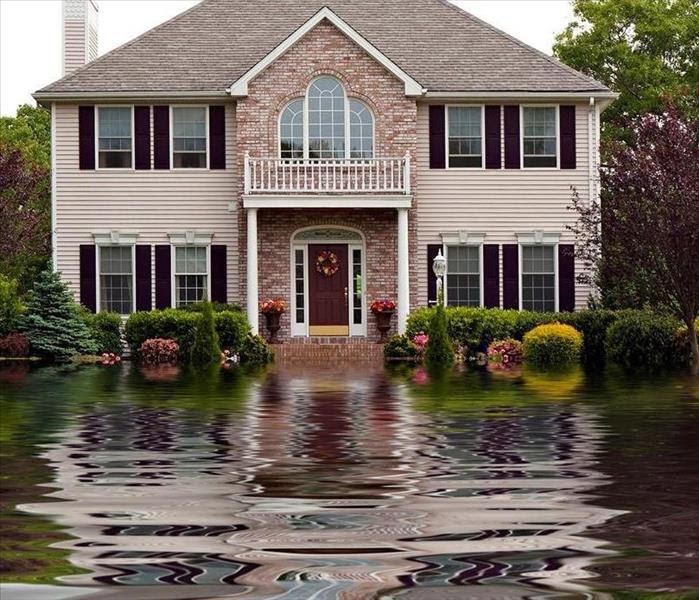 However, those rains have caused more immediate problems for the large number of homeowners who find their homes impacted with problems that were not disclosed to them by the Seller or Agents when they bought. We are regularly contacted both by Buyers seeking assistance in getting relief as well as by Sellers and Agents who may find themselves subject to Buyers’ demands that they pay for the repairs. The initial inquiry will always be whether or not the Seller had any knowledge of the condition and whether a disclosure obligation had been violated. The Disclosure obligations of a Seller (or Real Estate Agent/Broker) arise both from California law as well as terms of the various Contract documents signed by the parties. 1. California Law requires that a Seller make numerous disclosures to a buyer concerning the real estate and structures. The most important of these is the Transfer Disclosure Statement (“TDS”) which was created by the Legislature to disclose “known material defects” to a Buyer. Material means it reasonably affects the value of the Property. Obviously that can be one of perception but for a Buyer, the knowledge of this defect would require them to make the disclosure if they were to subsequently become a Seller. 2. California Assn. of Realtors provides the most widely used forms for real estate transactions and includes a number of additional disclosures that are required by Contract, not by California law. CAR publishes a Disclosure Chart listing all Disclosures, their use, and their legal basis, if any. The most important of these is the Seller Property Questionnaire (“SPQ”) and the Agent’s Visual Inspection (“AVID”). Interestingly, the CAR Chart only requires the AVID to be used if a Seller is exempt from providing a TDS, although commonly both are provided to the Buyer. SPQ, Paragraph V. requires disclosure related to 14 separate categories of the Property’s condition, both past and present. This is not limited to past or present defects but rather is inclusive of any repairs, improvements, pets, etc., and with few exceptions, existent at any time even if it were 40 years ago. As stated in the Note to Seller at Paragraph III, the Purpose is: “To tell the Buyer about known material or significant items affecting the value or desirability of the Property and to help eliminate misunderstandings about the condition of the Property”. In clarifying what is meant by this, the SPQ instructs Sellers to “Think about what you would want to know if your were buying the Property today”. Taken together, the additional CAR Disclosure requirements, while not legally mandated, certainly achieve their objective of more fully informing a prospective Buyer of the history of the Property, not just its existent defects. The value of this can be very important such as, for example, that the Property flooded in heavy rains 10 years ago. For the Buyer that closed last Summer, this information would be material if their Property is now underwater and they otherwise would not have expected this to happen. Bottom-line: While Disclosures go a long way towards educating a Buyer and thus reducing the risk of future legal liability, they will never fully address the issue of defects which a Seller intentionally or inadvertently failed to disclose. For these, a Buyer will still have to prove that they were damaged from a materially defective condition of which the Seller knew and intentionally failed to disclose, and that the Buyer could not have known about through their own reasonably diligent inspection. For Agents and Brokers, the best way of staying out of being named in any such lawsuit, is to make sure that the Seller completes the requisite Disclosures and that their client, Buyer or Seller, read and understand what has been disclosed. For over 20 years, the attorneys of BPE Law Group, P.C. have been advising and representing Buyers, Sellers, Agents, and Brokers on legal issues arising out of Disclosure obligations and other real estate and business related matters. Check us out on the Web at: www.bpelaw.com. If you would like a consultation with us, please call our office at (916) 966-2260 or e-mail Steve Beede at sjbeede@bpelaw.com.